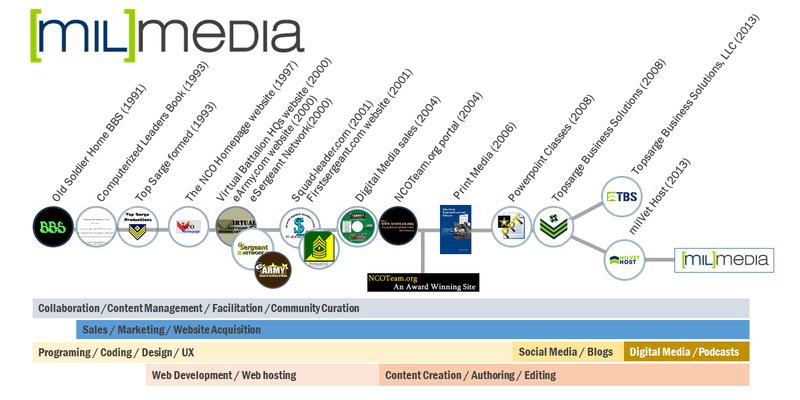 Founded in 1991 as The Old Soldiers Home military oriented Bulletin Board Service (BBS) as a private venture from Fort Knox, KY, my media division milMedia Group created and still operates some of the longest continuously operating web portals for military members today. 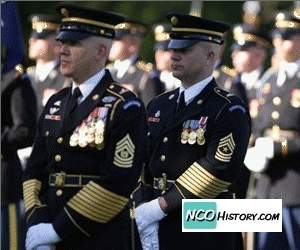 I created a line of computer software specifically for soldiers in 1994 and established my first World Wide Web presence in 1997. 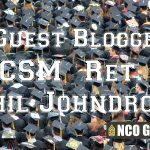 The NCO Website later went on to become a US Army “Best Practice,” and our site was one of four sites to serve as an anchor for US military professional forums and a key plank in the US Army Knowledge Management discipline. Our founder Dan Elder was awarded a US Army Chief Information Officer/G-6 “Knowledge Management Pioneer Award” and was inducted to the US Army Sergeants Major Academy “Wall of Honor” for his contributions to noncommissioned officer education and development. Topsarge Business Solutions – Consulting, content creation, research & analysis for the entertainment industry, journalists, authors and researchers. 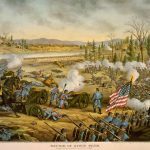 milMedia Web Design – Website design and administration, social media, web marketing and communication, cotentent management and community facilitation. milVet Host – Web hosting and storage, portal development, web community creation and learning management systems. 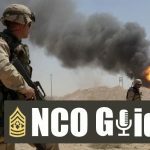 The NCO Guide – Contemporary thought and written and spoken articles through podcasts and written content. Central Texas Professional Development – Training, seminars, coaching and 360-degree assessment interpretation and professional development. 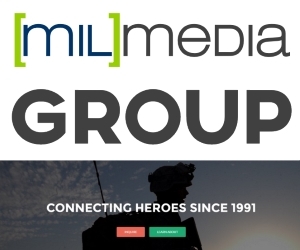 TBS Consulting and milMedia Group digital continues as a unique and multidisciplinary services consulting firm service for organizations that service soldiers, veterans and their families.